So you click on it to get a large view, but viola, twitter screws up all the real estate. When you click on the image, it opens up in a light-box in even smaller size 295 pixels by 413 pixels. By Design, user expects large view on clicking the media, here the opposite happens. 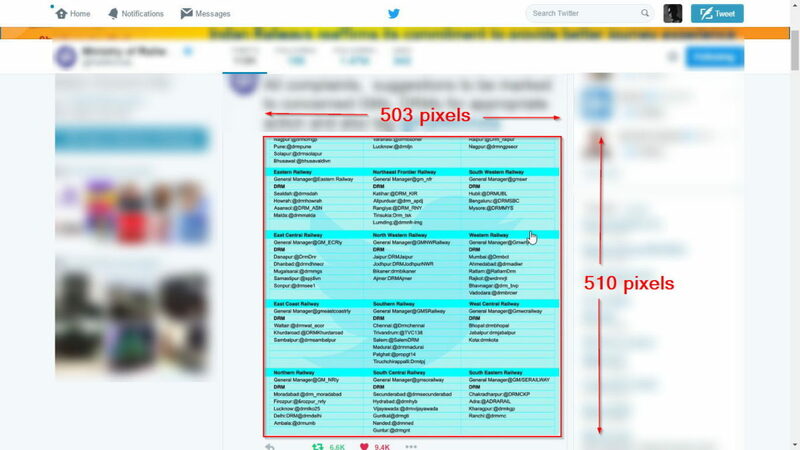 I saw this Twitter Blog post [Twitter Blog: Updates for viewing images] by @chenosauraus, targeted to solve exactly this problem. Guess it doesn’t. There is even a Chrome plugin to solve this problem. Sad that Twitter couldn’t not solve it by design.